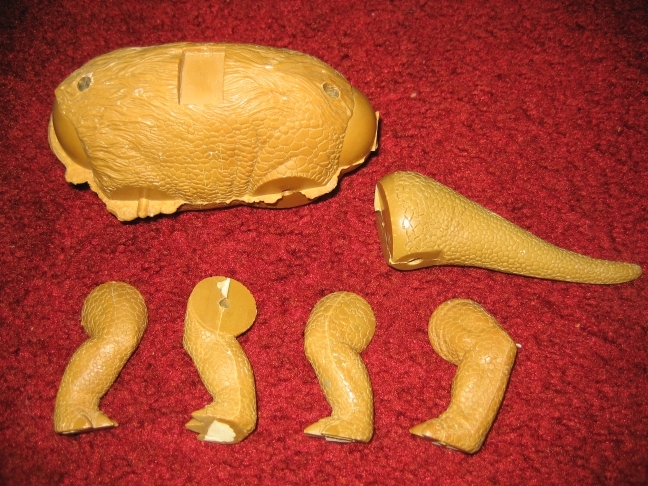 Here are a set of hardcopy pieces for the Dewback creature, one of the first large creature accessories for the original Kenner Star Wars action figure line. 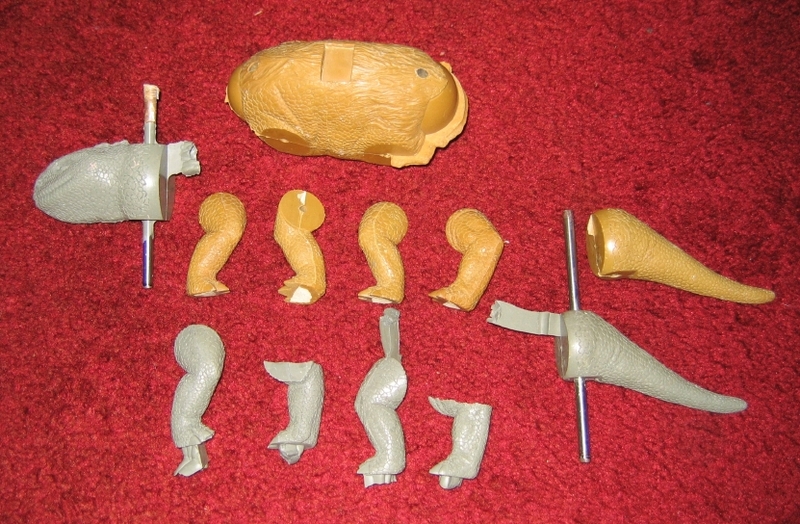 The tan carbalon pieces of the body, tail, and feet are rough with uncut flash, bear a substantial weight, and exactly match the final production figure. 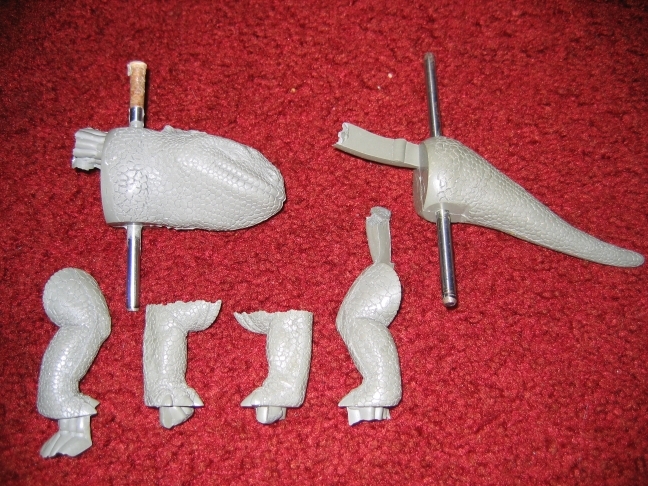 The green carbalon pieces for the head, tail, and feet also match the production figure, and some of these hardcopy pieces are of a slightly softer urethane than the tan carbalon pieces.